Announcing a new sweepstakes this time in Cusco (Peru) to celebrate the Inti Raymi (Resurrection of the Sun). It is a unique festival that commemorates the ancient and sacred ceremony of the Inca during the winter equinox June 24, 2013. 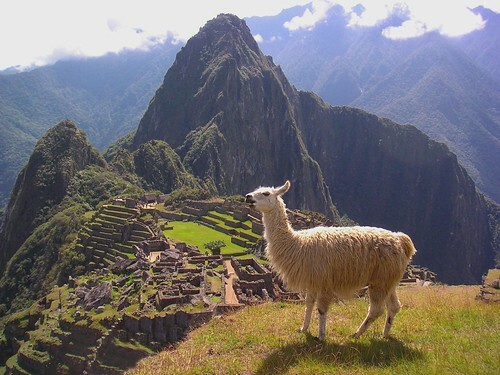 The prize includes two American Airlines round-trip tickets from the U.S. to Lima (Peru); transfer to Cusco, accommodations for five nights (June 20 through June 25, 2013), participation in the Inti Raymi and guided tours of Machu Picchu and Sacsayhuaman in the Sacred Valley of the Inca. Hotel accommodations and guided tours in Lima and in the Sacred Valley of the Inca are provided by Libertador Hotels, Resorts & Spas Peru. One (1) winner will be drawn and notified on or around April 15, 2013. The Grand Prize consists of two round-trip tickets from the Continental United States to Lima, Peru on American Airlines, transfer to Cusco, accommodations for five nights (22 through 26 June, 2013) provided by Westin Hotels Peru, participation in the Inti Raymi and guided tours of Machu Picchu and Sacsayhuaman in the Sacred Valley of the Inca. To enter all you have to do is provide your contact info and submit your entry by March 31, 2013 at 11:59 pm CST. Go here to read the rules and to enter. Lima is one of the world’s great food cities, its food culture inspired as much by the Andes as it is by sea. Spanish and Inca cultures come together and mix with Asian influences. Al Jazeera did a great series a few years ago exploring different cities through their street food. Here are two short videos that give you a tour of Lima’s street food scene.